George Bernard Shaw’s Heartbreak House is bringing in the new year at the Union in beautiful style. 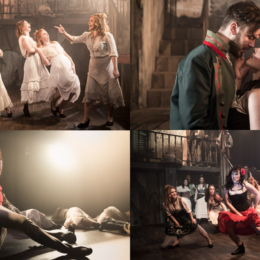 Production shots below. 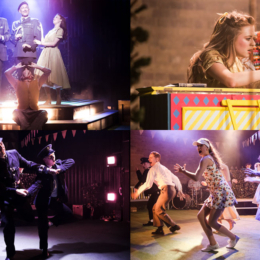 A magic piano that forces people to dance, marriage as a hobby, a lot of swinging (on a swing), bunting, beauticians, bobbies, a fashion show and some unexpected guests. 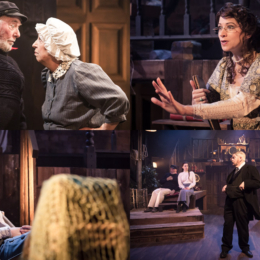 It’s the completely bonkers and very fun Salad Days, now playing at the Union Theatre. 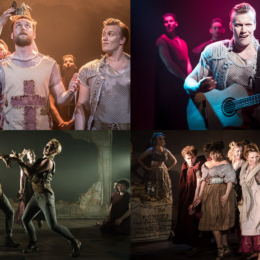 Production shots from Tim Rice’s ludicrously entertaining minstrel/rockstar musical Blondel, which is playing at the Union Theatre. 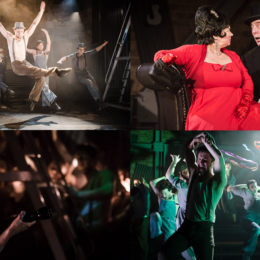 Production photos from Sondheim’s utterly bonkers Anyone Can Whistle at the Union Theatre. The show runs to 11 March. 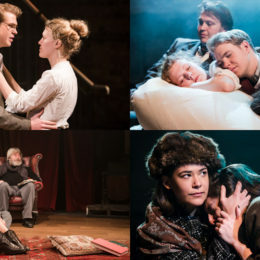 Production shots from Chekhov’s Three Sisters, now playing at the Union Theatre, in a lively new translation by Tracy Letts. 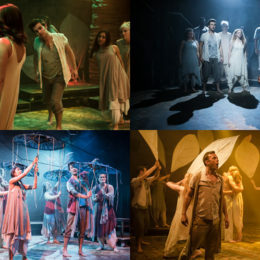 Production shots from new and charming quest-for-space musical Out There at the new Union Theatre. The show runs to 8 October. 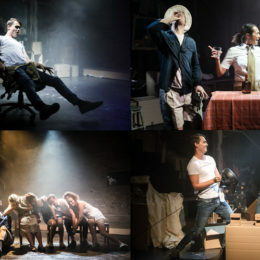 Production shots from the Union Theatre’s appropriately bittersweet last show before crossing the road to its new home. 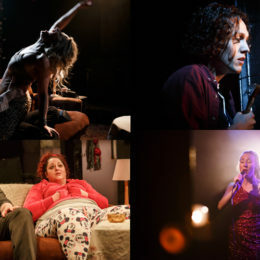 The Rise and Fall of Little Voice runs to 26 June.